Se você fala Português ou ter um cliente que faz, você vai ficar feliz em saber que nós terminamos as SkyStats: Edição Português ! 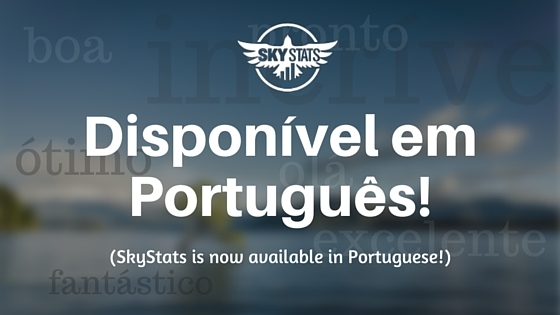 If you speak Portuguese or have a client who does, you’ll be happy to hear that we’ve finished the SkyStats: Portuguese Edition! If you’ve noticed that the Portuguese announcement above is a little off (Google Translate, folks! ), don’t worry. We went to the pros for the SkyStats translation. We enlisted the help of Digital Marketing agency RankCity for the SkyStats translation and they did an exceptional job! We’re racing ahead with our SkyStats’ updates, not just with translations but with integrations as well. In fact, our next big integration is just around the corner so segurem seus chapéus!